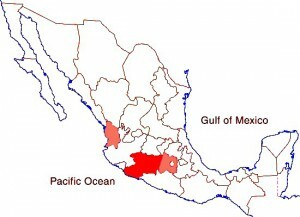 Mexico is the world’s largest producer and exporter of avocados. 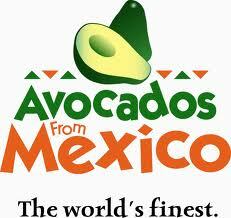 In the 2012/13 season, Mexico’s avocado orchards produced a record 1.3 million metric tons of avocados. More than 90% of Mexico’s avocados are grown in the state of Michoacán, where about 12% of all agricultural land is currently under avocado orchards. Avocado exports rose 33% to 643,000 metric tons, worth 1.2 billion dollars, also a new record. The main export market remains the USA which imported 518,000 metric tons between July 2012 and June 2013, to help satisfy a demand that has risen rapidly. Total USA avocado imports in 2012-2013 from all countries were 40% higher than the previous year, and have risen over the past 15 years from 200,000 metric tons to 750,000 metric tons. In 2012-2013, Mexico also exported 125,000 metric tons of avocados to Canada, Japan, Central America and Europe, a 32% increase over the year before. The Federal Farming Secretariat has introduced a new national certification system for growers to help ensure consistent quality and reduce spoilage during transport. Many avocado growers are working towards increasing the number of orchards certified by Global Gap, a worldwide certification organization. Geo-Mexico has many other agriculture-related posts (easily found via our tag system). They include posts about the geography of growing/producing Christmas trees, cacao, honey, sugarcane, coffee, chiles, floriculture, tomatoes, tequila, horticultural crops and oranges. Enjoy!